Left: President Donald Trump talks with reporters before boarding Marine One on the South Lawn of the White House, Friday, March 22, 2019, in Washington. (AP Photo/Evan Vucci). Right: Prime Minister Dr Keith Rowley attends the signing of the Dragon Gas deal at Miraflores Palace in Caracas, Venezuela on August 26, 2018. Photo via the Office of the Prime Minister. Prime Minister said there is no rift in relations between Trinidad and Tobago and the USA. 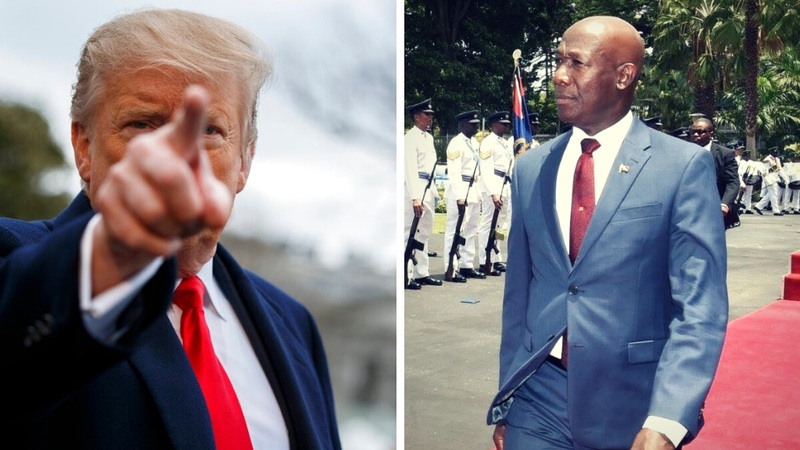 Dr Rowley was speaking in Parliament in response to questions raised by Opposition after Trinidad and Tobago was not invited to a meeting of some Caribbean countries at US President Donald Trump’s Mar-a-Lago resort in Florida on March 22, 2019. 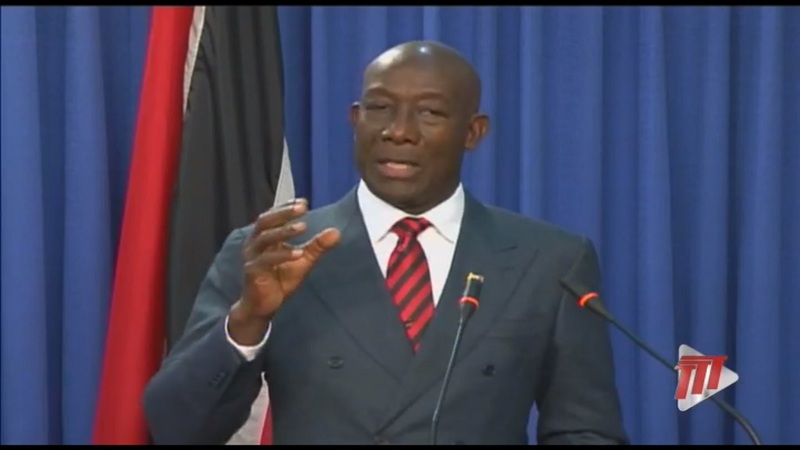 Dr Rowley said that despite attempts by Opposition to paint the situation in a certain light, there is no tear in relations between Trinidad and Tobago and the US. “We have no relationship to repair because as far as I’m aware, there’s no tear in the relations between Trinidad and Tobago and the United States. 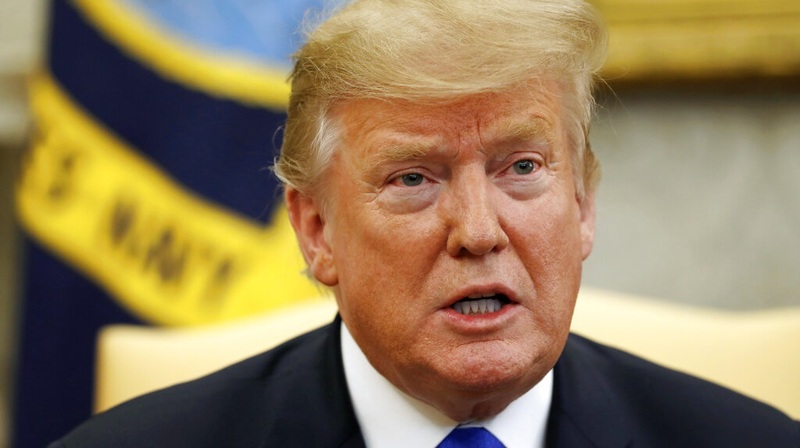 The US remains a friendly country and insofar as we might have a disagreement as to the approach in Venezuela, it has nothing to do with the relationship between the people of the United States and the people of Trinidad and Tobago, notwithstanding the effort of those on the other side to create that kind of division,” he said. When asked why other CARICOM members, such as Jamaica and St Lucia, had been invited, Dr Rowley clarified that this was not a CARICOM issue, but a meeting of members of the Lima Group. Dr Rowley said the invitation to Trump’s resort was not to CARICOM members but to ‘individual members who are members of the Lima Group’. 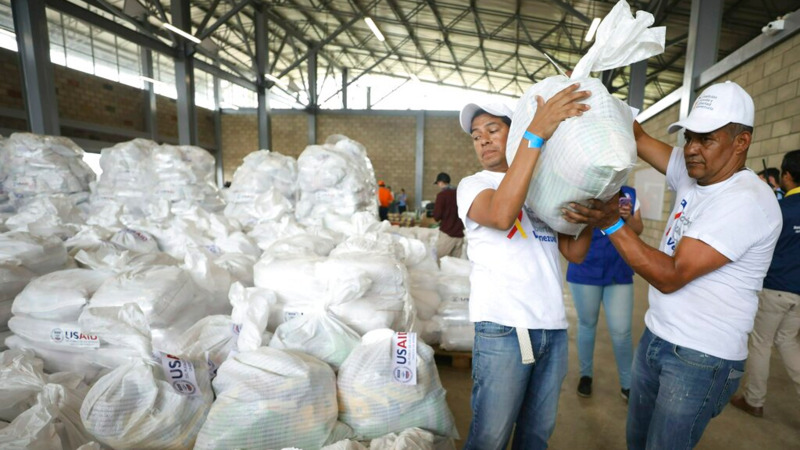 “I do not know why members of Parliament in Trinidad and Tobago would want to misrepresent this situation so as to create an issue where none exists,” he said. Trump invited The Bahamas, the Dominican Republic, Haiti, Jamaica, and Saint Lucia to discuss China and Venezuela, among other issues at a meeting at Mar-a-Lago on March 22, 2019. Dr Rowley said during Thursday's post-Cabinet briefing that the meeting concerns regime change in Venezuela.